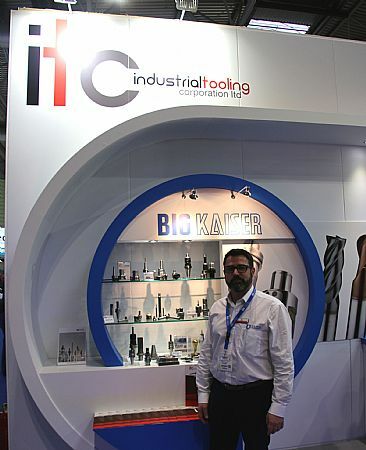 Three years ago, Industrial Tooling Corporation (ITC) made a strategic decision to become the UK agent for the BIG KAISER brand of precision tooling. Since signing that agreement, sales of the BIG KAISER product lines have more than trebled in the UK. 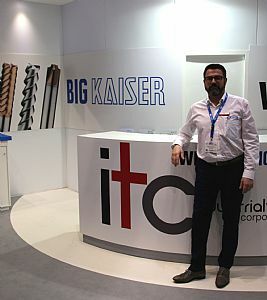 The UK has rapidly become the 5th largest European market for BIG KAISER and establishing this market position in such a short period of time is credit to the dedication and professionalism of the ITC sales network and the quality of the Swiss manufactured brand. Prior to the merging of KAISER and Big Daishowa in 2015, the KAISER brand was sold in the UK by KAISER UK, a dedicated subsidiary that closed in 2008. Simultaneously, the Big Daishowa brand was sold via machine tool manufacturers as a supplement to existing product lines and sales channels. 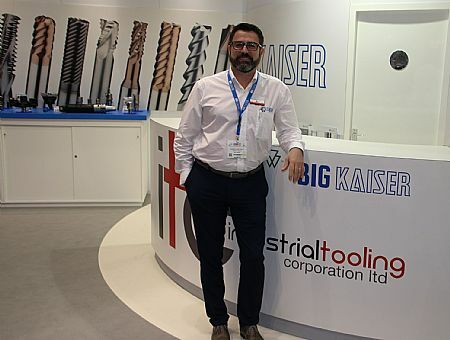 Following the merger, BIG KAISER re-evaluated its position and recognised the need to work in synergy with an OEM with a successful high-quality brand that targeted the ‘entire’ industry as opposed to a niche aspect of the machine tool industry. “British products are now lower cost overseas and this is a positive thing for UK exporters. Additionally, the countries of Southern Europe are genuinely looking at the UK as a benchmark and an innovator. The perception of the EU project is at polar opposites between Northern and Southern European Countries. The Southern European Countries are asking ‘do we follow the UK?’ and do we have their courage and conviction to follow suit.” Being the Head of Sales for Southern Europe with an area that encompasses Portugal, Spain, France, Belgium and Italy, the industry overview from Mr Roccatello may be an individual perception, but also a perception that can be accepted with considerable authority. “In the UK, the BIG PLUS message is proving effective. Now, we want to push more of our indexable tooling lines that promote process stability and productivity, which is characterized by strong clamping systems - something that is the foundation of the BIG KAISER brand. With regard to the next generation of technology, BIG KAISER is already working on automated boring systems for the future. We have already applied Bluetooth technology, but we are now working on automated measuring technology. This means that parameters can be set on a computer or mobile device and the boring head will automatically conduct head movement via Bluetooth to eliminate human error, remove manual reliance on processes and support automated manufacture. We are always working on new innovations to improve process stability and whatever we develop, you will see it first in the UK with ITC,” concludes Mr Roccatello. Hydrafeed has used the services of Pulse-PR on numerous occasions,we are certain that the collaboration has directly contributed to generating business for Hydrafeed. Pulse-PR has always shown an understanding of the technical detail of any project they work on for Hydrafeed. Hydrafeed will continue to both use and recommend the services of Pulse-PR.